Do you love Island Vibes? Do you have any family ties to Africa? 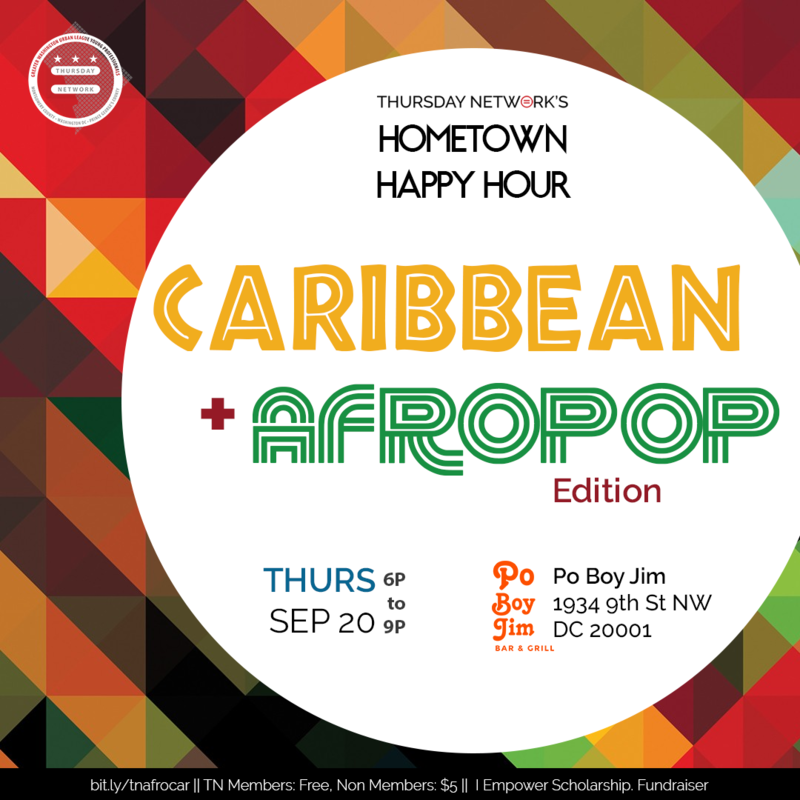 Join Thursday Network for our final Hometown Happy Hour: Caribbean and Afropop Edition as we mix and mingle to raise money for OUR youth! Doors open 6pm sharp at Po Boy Jims on 9th St NW. RSVP highly suggested. Must be 21 to enter. By far the best happy hour on the block. You don't want to miss this!